Check out all of the great discounts available by South Bend Regional Chamber businesses through the chamber REWARDS program. Anyone can redeem the discounts by simply printing the discount coupon and taking it to the member business (unless otherwise stated by the member business). However, only Chamber member businesses can offer a discount through the chamber REWARDS program. For more information about this FREE member benefit, contact Shari Carroll at 574.400.4024. * Discounts are offered by member companies, subject to change without notice and may not be combined with any other offers. DISCLAIMER: Neither the South Bend Regional Chamber nor its board of directors, employees, nor membership, will be liable for products or services or for any inaccuracy in marketing materials. 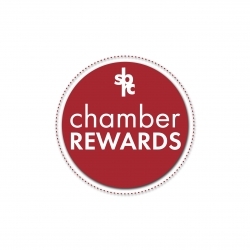 The South Bend Regional Chamber can change any terms of this discount program at any time by posting the change on any public section of sbrchamber.com dealing with the chamber REWARDS program.